Do you want my sausage? Eastin Hotel – a business hotel that Free Trade Zone (FTZ) managers like to allocate their foreign visitors here. Seriously I never visited their cafe, namely Swez Brasserie before. 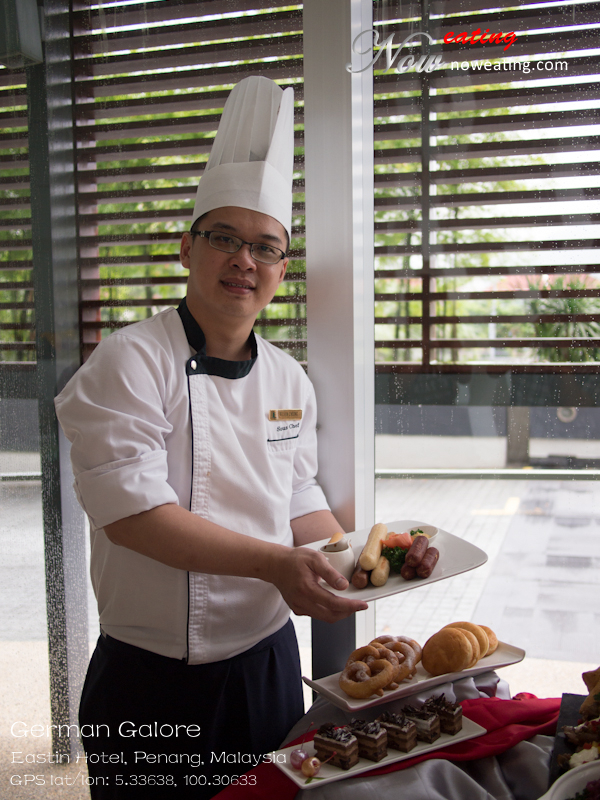 In October 2012, they are having new buffet theme called German Galore so we paid a visit to it (Chef above is Kelvin, the star of the day).